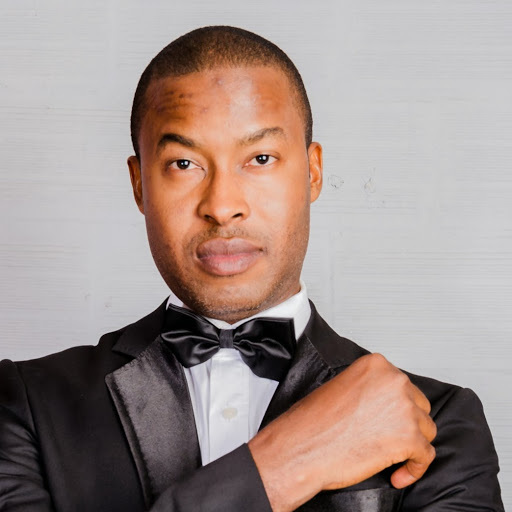 Nigerian Biography: Biography of Sulaiman Aledeh, Presenter, Broadcast Journalist, Channels Television. Biography of Sulaiman Aledeh, Presenter, Broadcast Journalist, Channels Television. Sulaiman Aledeh popularly known as Sulai is a broadcast Journalist. He was born on April 5, 1973.
breakfast show for Radio Nigeria. He has been in the industry for way over a decade. Sulaiman Aledeh had his University Education at the University of Benin(UNIBEN) where he graduated with a degree in Philosophy in 1999. He also holds a Masters degree in Humanitarian and Refugee Studies from the University of Lagos(UNILAG). He has attended professional courses within and outside the country. He achieved the feat of being the station’s most prolific serving presenter. This he achieved by creating, producing and presenting the station’s rock music show; Rock City. He also was heard on the major news bulletins as well as other drive-time show. Sulaiman is also a voice over professional who has done commercials for Multi-national corporations. At Channels Television Sulaiman is in charge of political programmes – he made daily news and current affairs for the station – his big job was presenting the 2011 Election in Nigeria. He was asked to be at the heart of Channels TV General Election Results coverage and he broadcast for more than 10 hours, including anchoring. He also fronts the station’s flagship ‘The News at Ten’. He’s the producer of the station’s breakfast show ‘Sunrise Daily’ where he also doubles as co-host. He’s an Inclusion Speaker, advocate of Religious Freedom/Respect and an alumnus of the prestigious United States International Visitors Leadership Programme (IVLP 2010). He is a caring husband and a doting father. He is blessed with two daughters and a son, Kameela, Jamal and Yasmine. It is worthy to note that he’s given talks to young Nigerians in Schools and Camps as a way of giving back to the society. An instance was in 2012 when he and his associate, imam Shefiu undertook a self sponsored trip to the United States to give talks to a select Nigerian Muslim Community in Boston, Rhode Island and Houston. An interesting hobby Sulai has is blogging at his leisure.